We've had a lot of questions recently from AdSense publishers about viewability and the new Active View metricsin AdSense accounts. Active View can really help you improve your AdSense earnings, so let's take a closer look. 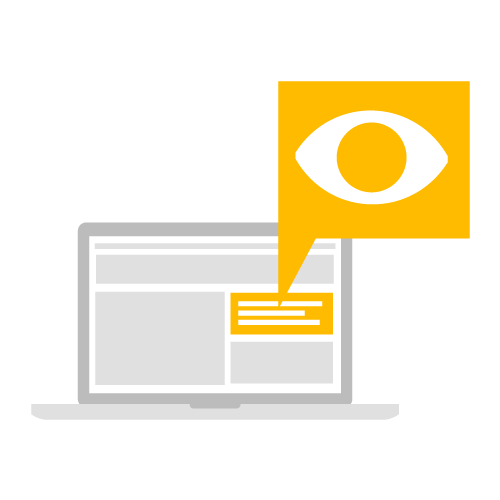 What are Active View and viewability? Active View is Google’s ad viewability measurement solution. It tracks the viewability of ads served by AdSense: that is, the percentage of ads that are considered viewable out of the total number of ads measured. 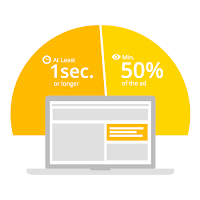 We use the online ad industry standard: a display ad is counted as viewable when at least 50% of the ad is within the viewable space on the user’s screen for one second or more. So an ad that is (for instance) placed below the first screen on a given page won't be counted as viewable if the viewer never scrolls down. This is why viewability a good way of determining whether your AdSense ads are actually being seen by your website visitors or simply loading without a chance of catching the viewer's eye. The industry shift towards viewability is good for both publishers and advertisers for many reasons. Without viewability metrics, advertisers could be paying for ads that loaded on a page but were never seen. If you're an advertiser paying per click you might not care, but if you're paying by the impression it could be a much bigger deal. Active View metrics help because they show advertisers what percentage of their ads are actually being seen by users and which publishers provide the highest level of viewability. This helps advertisers make smarter decisions about where they should buy ad impressions. 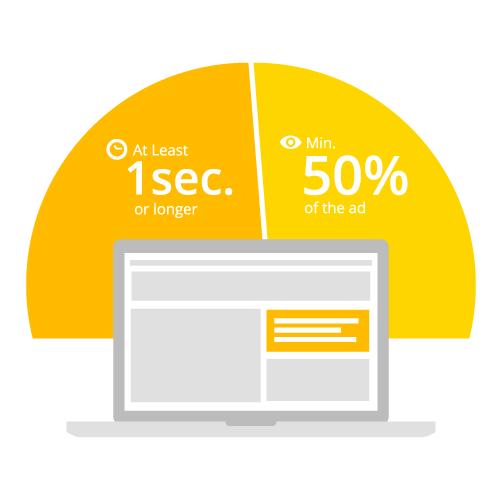 That makes display ads both more measurable and more effective. Viewability metrics also help publishers understand the true performance of the AdSense ads they display. Whether the ad is being paid for by click or by impression, ads that aren't seen by the user can’t have an impact. In the long run, they won’t generate reliable ad revenue. If publishers notice that the Active View percentage for certain ad units is lower than others, that ad position is probably underperforming and ought to be optimized. Active View can help publishers increase their AdSense earnings as they take corrective action and improve the performance of these ads. Once you become familiar with viewability statistics, there are two changes you can make to improve your results. Vertical ad units such as 160x600 and 120x600 tend to have higher Active View percentages. This makes sense: vertical ad units are in view for longer as the user scrolls up or down the page. Other ad sizes with high viewability rates include the 120x240 and 240x400 ad units. Rethinking the position of your AdSense ad units can also help improve your viewability rates. It's not always just a matter of putting more ads at the top of the page: for example, ads positioned just above the fold tend to have higher viewability rates since they remain within view for longer as the user scrolls down. Experiment with what works best on your site. Paying close attention to your Active View numbers will help you bring your visitors the targeted ads you want them to see and remove the uncertainty around unviewable ads. In the end, that should mean fewer underperforming ad units and a potentially a new way to achieve better revenues overall. We think that in the long term viewability will change the way that advertisers allocate their budgets to online display. And if you're a publisher, it's a good idea to start paying attention to these new numbers and make adjustments to your ad sizes, ad units, and ad positions to improve viewability and potentially achieve better results. 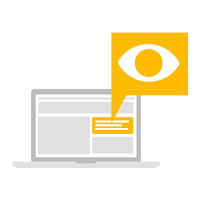 To learn more about viewability and Active View, see the AdSense Help Center. Apne site ko Google Index me kaise add kare ????? Visit Abhishek's profile on Pinterest. COPYRIGHT @ 2015 ADSENSETRAININGVIDEOS. Simple theme. Powered by Blogger.